INTRODUCTION: Recommendations for assessing learning curves in surgery were published in 2001. 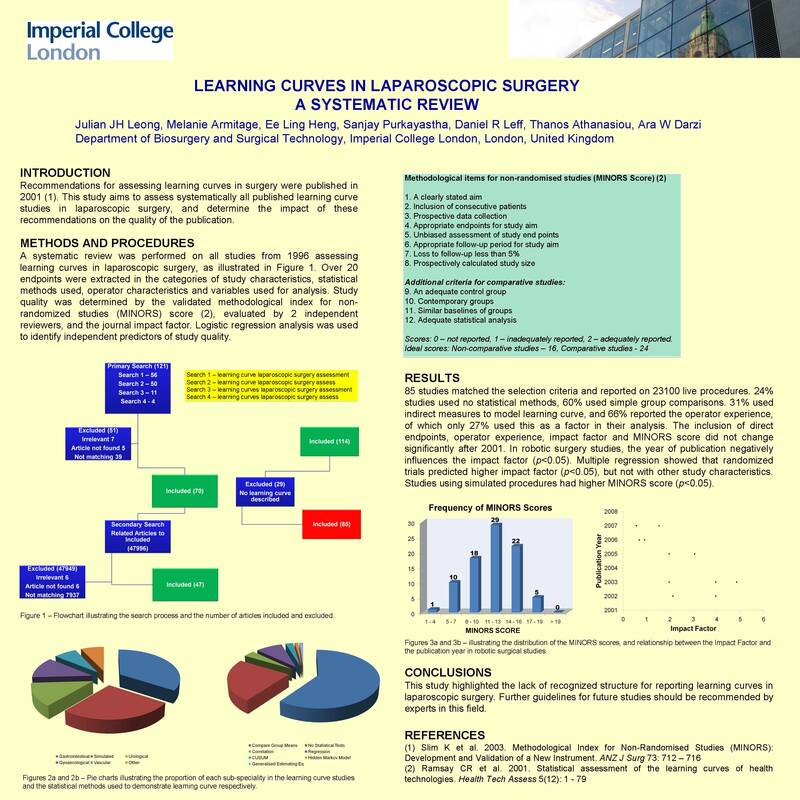 This study aims to assess systematically all published learning curve studies in laparoscopic surgery, and determine the impact of these recommendations on the quality of the publication. METHODS AND PROCEDURES: A systematic review was performed on all studies from 1996 assessing learning curves in laparoscopic surgery. Over 20 endpoints were extracted in the categories of study characteristics, statistical methods used, operator characteristics and variables used for analysis. Study quality was determined by the validated methodological index for non-randomized studies (MINORS) score, evaluated by 2 independent reviewers, and the journal impact factor. Logistic regression analysis was used to identify independent predictors of study quality.